Exemplary services, food, and TLC for your big day. You’re getting married! After all the hugs, congratulations and well wishes comes the planning. So many decisions. Small and intimate or big and brash? At home under a lovely tent or in an all-inclusive venue? A “raw” loft space allowing for total self-expression or a site with all the furnishings included? None of the cousins or ALL of the cousins? Brunch, lunch, dinner or simple cocktails and amuse-bouches? White or cream-colored linens? Upscale disposables or real china? The decisions can feel never ending and at times daunting! After many years of experience, we know a thing or two about helping with those decisions by guiding our brides and grooms or brides and brides or grooms and grooms to think through each important component of their day in order to end up with a celebration that delights them, while it realistically honors their budget and overall vision. How may I estimate the number of guests who will attend the wedding? What should I know when budgeting for my wedding? Having an idea of your overall budget is crucial prior to starting your wedding planning. I often get the question, “What will it cost me to do a wedding?” That is like asking, “What does a car cost?” There simply is no one-size-fits-all amount. The question is truly irrelevant. Decide how much you are able or want to invest in your wedding, and then back into what that amount will afford you. We ask our clients right at the initial conversation to give us a range of investment for their event, exclusive of the facility rental fee. This is not so that we base our estimates on the top of the range, as is often a concern of the clients’. Rather, it is to honor their range to the best of our ability. Once we know what they have in mind for their event: time of day, estimate of the number of guests, food preferences, bar preferences and required rentals (if not known can be estimated,) we are able to determine if their investment range is commensurate/realistic with their wants and needs. If not, we are candid and will certainly try to adjust expectations with cost realities. Am I better off choosing a facility that allows us to bring in our own caterer or selecting an all-inclusive venue? It is important to know where the wedding will be held before speaking with caterers. Knowing your sites’ requirements helps you to be a more informed decision maker. You and your potential caterer could potentially spend a great deal of time coming up with a perfect menu/proposal only to find that you choose a site that will not allow you to bring that caterer in. This is a waste of time for all parties and is often a source of great disappointment. 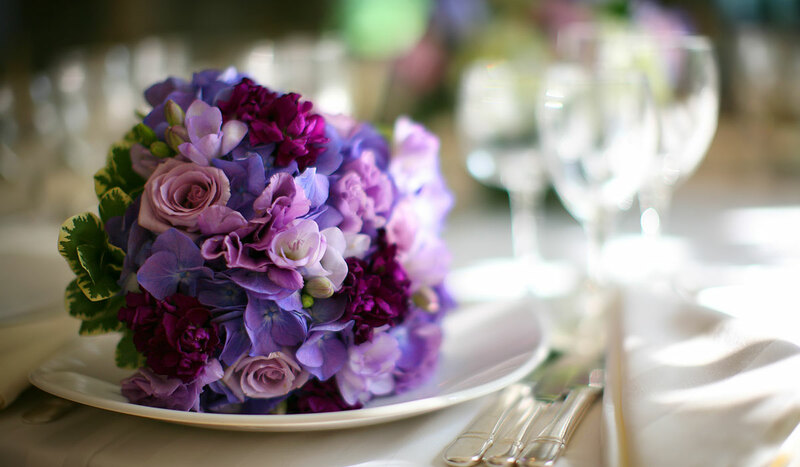 If you are going to a full-service venue (everything is done and provided in one place,) you will still have to provide flowers and there may be other items that are usually optional only available for an additional fee. The advantage to one-stop shopping is fewer planning decisions. The down side is that it is typically costlier and there is less opportunity for creativity and self-expression in menu, set-up, decorating, etc. You are given a package of options and any changes made are typically charged at a premium. If you go with a private venue that allows caterers to be brought in, the site will have specific rules/requirements for that caterer to honor. It is wise to ask that question of the venue so that when you speak with the caterer, you may determine if they meet the criteria. Some venues will allow caterers in, but only those from their preferred list. That venue is most likely getting a referral fee from that caterer. That is certainly an acceptable arrangement, but should be disclosed to you. In addition, when considering sites, ask for a list of the items that are on site and available for your use as part of the rental fee such as: tables, chairs, full kitchen facility, etc. If you need to rent these items, that will certainly increase your overall investment. Sample menus/pricing sent versus personal call required—why one is more preferable than the other? All of our consulting with clients is done in an initial phone chat. It makes absolutely no sense to send a client a proposed menu if you are not at all familiar with their preferences! Why? What we might think will appeal to them may be off in a ditch as far from reality as possible. 99% of the time, the client will see the proposal, think, I really don’t like these selections, and assume they need to move on! When we do a proposal, it truly represents and reflects what we hear from our client. It might be an initial proposal, but it is much closer to the finish line than bidding blind will ever be! That is probably in the top five questions we get from clients. Yes, we do tastings and love doing them. However, we have a tasting policy that was born of trial and error. It is more than fair and equitable to all parties and is designed to separate lookers from buyers. Tastings are very time consuming and costly if done correctly. We are delighted to share our tasting policy with anyone right up front! What are some of the “extras” you offer your clients? We do not bundle our products. We never approach the event as an “all-or-none” proposition. Bundling benefits the bundler and not the client. We want our clients to be able to make well-informed decisions as to where and if they want to make adjustments to any part of their day. In order to achieve this, we break out all the components of the proposal: food, staff, rentals, alcohol, bartending, gratuity, etc. There are no hidden costs. We have partnerships with outstanding vendors for rentals and alcohol. 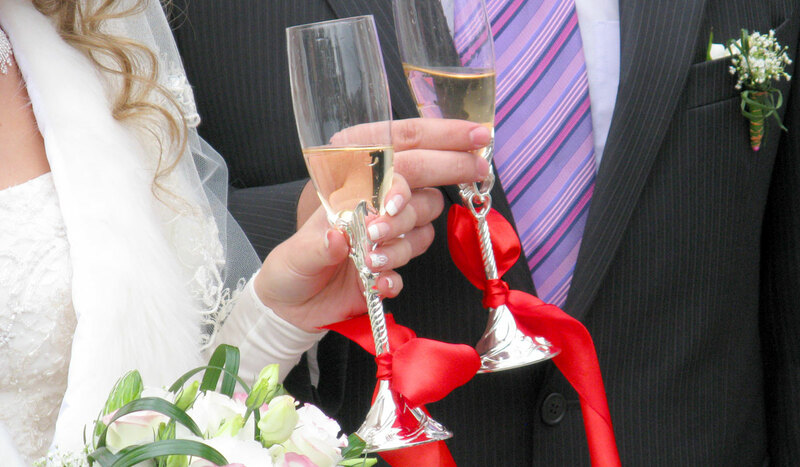 We will present the clients with proposals for the rentals needed as well as their alcohol preferences. THERE IS NO OBLIGATION TO USE OUR VENDORS. However, when you provide a vendor with dozens and dozens of events annually, they tend to treat your clients’ wallets with respect. If the clients want to move forward with one of our partners, we take care of making all the arrangements for delivery and pick up. We pay the vendors using our clients’ credit cards. FYI: It is illegal for caterers to bundle alcohol into their proposals and thus sell it back to the client UNLESS that caterer has a liquor resale license. Not to be confused with liquor liability insurance. Liquor resale licenses are very costly, and it is rare for caterers to invest in them when they do not have a liquor store. Ask them to prove they have the license if they offer the liquor as part of the agreement. China versus upscale disposables—what are the advantages/disadvantages? The reality is that with the gorgeous upscale disposables being made today, using them can be a wonderful way to save a considerable amount of money. With a typical wedding headcount of 90-100 guests, the number of dishes/glasses that will be used is astounding. All those real dishes/glasses need to be bused, scraped, rinsed and re-stacked for the rental company. That requires extra staff. We purchase these items in bulk and sell them to our clients at a great savings. Bamboo disposables are gorgeous as an alternative, especially in an outdoor setting. Some of the plastic made is so substantive and beautiful, people don’t want to throw it away. Much of it is also environmentally friendly for those concerned about that issue. Consider this option as people care a great deal more about what is on the plate than the plate it is on! Are naked wedding cakes really more affordable? Naked wedding cakes—or cakes without an outer layer of icing—have become a popular wedding trend. Their price point tends to be lower than the cost of an average wedding cake that's iced and decorated with detailed piping and other fondant or buttercream accents. But that doesn't mean that a naked wedding cake can't be dressed up. Just like with a frosted cake, the more you add to your naked confection, the more expensive it gets. Ultimately, if you're choosing a naked wedding cake for your big day, you should do so because you love the look. While the cost is generally more affordable, it is not always. Your best bet is to give your baker a budget you feel comfortable sticking to, then coming up with an idea you love—frosted or unfrosted—that you can achieve. Read more about the cost of naked wedding cakes from the experts at Martha Stewart Weddings.